Show past growth while demonstrating future profit potential. Maintain and present impeccable financial and legal records. Find potential buyers (with or without the help of an investment banker). 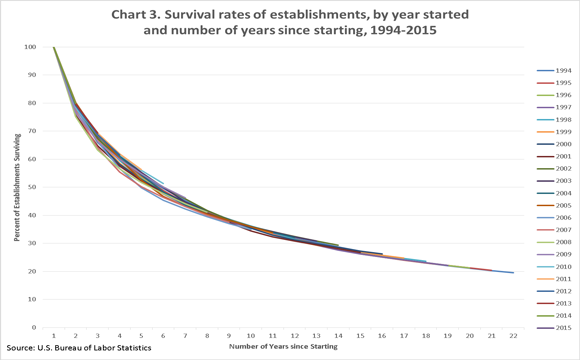 Based on my experience helping tech entrepreneurs prepare a startup exit strategy, 7-10 years seems the most realistic timeframe to reach an exit. It’s not unusual to see SaaS startups exit in 5-7 years, particularly with strong sales velocity, but five years or less is probably unrealistic for most startups. By following these three tips for creating a startup exit strategy, you’ll position yourself well to attract a buyer. Earnouts (or earn-outs) are provisions where the seller (you) receives added payment based on the company hitting certain performance metrics or milestones. You and the buyer set these milestones by analyzing your financial projections. Ten to 20 percent of deal value is probably the most common range for an earnout, though it can go higher. You can probably see the issue here. Earnouts sweeten the deal, and can even be a great way to tidy up valuation disagreements between you and the buyer. But you have to remain realistic. If you miss the milestones tied to your earnout, not only will you get less money, but you may also give the buyer leverage. If, for example, 50 percent of the deal is earnouts (rare, but it happens) and your company fails to hit its marks, you’ll feel like you gave your business away. So how do you set projections that are realistic, but still excite you and the buyer? Steps two and three play important roles in this. Every potential buyer you meet will have different motivations. Many will want to see traditional metrics such as market traction and a proven model, but a buyer looking for a strategic acquisition may not care about any of that. For example, they may value an idea or technology your company has to accelerate their own (like when Ford invested $1 billion into an AI startup company for self-driving cars). Even unprofitable businesses have been bought and transformed when buyers see value, a growing trend within the tech industry. Expect a buyer to investigate everything about your company, especially the financials. An individual buyer does not share the diffused risk that a pool of investors does, so be ready for scrutiny. This connects back your startup exit strategy beginning when you found the company. From day one, you should maintain impeccable financial and legal records. It shows investors and buyers that you have your financial house in order. Remember the expression, “Time kills deals?” The better your financial and legal records, the faster a buyer can research you, the faster they’ll trust you, and the faster the deal can close. Think about it from the buyer’s perspective: “This company has its act together. Not only are they hitting market traction, but they’ve got rigor. They produced financial statements. They’re looking at key metrics. They have a forecasting model so they can understand future outcomes and do some sensitivity analysis.” That’s what you want a buyer to think about you. Moreover, maintaining this financial rigor benefits you. The better you know your company’s financials, the more confident you’ll be when it’s time to hash out terms, including earnouts. What Will the Buyer Do on Their Own? Any serious buyer will perform a full financial analysis of your company and crosscheck any audits with an outside accountant. They’ll examine trends, compare data to averages within the industry, and so on. Be prepared to answer any of their questions with additional supporting evidence to back up your claims. And if you haven’t already, adopt GAAP compliance (“Generally Accepted Accounting Principles”) for all of your finance and accounting documents. An investment banker will help you identify and narrow down the field of prospective buyers, and negotiate fine contractual details that you may have overlooked. An attorney will perform a legal audit of your company, make sure all critical details are included in the letter of intent (LOI), and check for any loopholes that could be exploited within the agreement. The more your exit team understands the nuances of your industry, the better, so look for people with experience in it. Got a SaaS startup? Look for an investment banker who has brokered SaaS acquisitions. Not only will they have experience, but they may also bring potentially valuable relationships to the table. Always take the call when a potential buyer reaches out, even if you think it’s too early to sell. It could establish an important relationship you’ll need later. Likewise, the buyer may see something in your company that you don’t. Dismissing companies without hearing what they have to say will only hurt you in the long run, so pick up the phone, keep networking and at the very least, get some practice before pursuing the real deal.